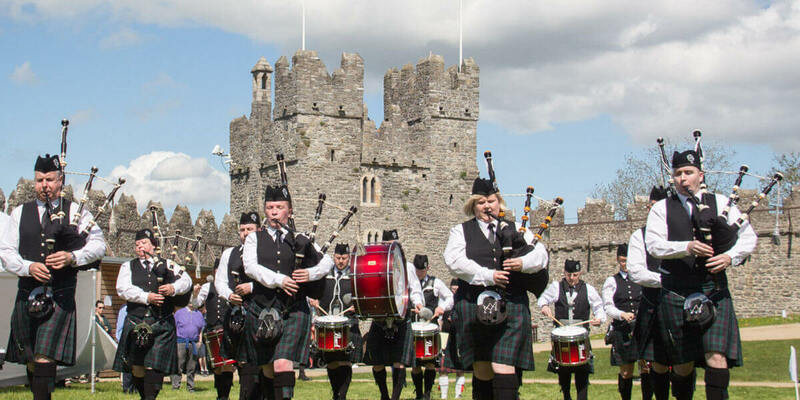 The Leinster Pipe Band Championships will be held in the grounds of Swords Castle, Swords, County Dublin on Saturday, 4th May 2019. This is the second year these championships are being held, thanks to the support of Fingal County Council. The bands will be from all parts of Ireland – last year, bands from Armagh, Carlow, Dublin, Killeshin, Limerick, Newcastlewest and New Ross competed. While there is a serious side to the competition, as the rules of the competition must be obeyed, it is a family event and an opportunity to catch up with old friends, after the long practice season.